Vintage 1976 Pininfarina Ferrari BB 512 Interior Press Photo. 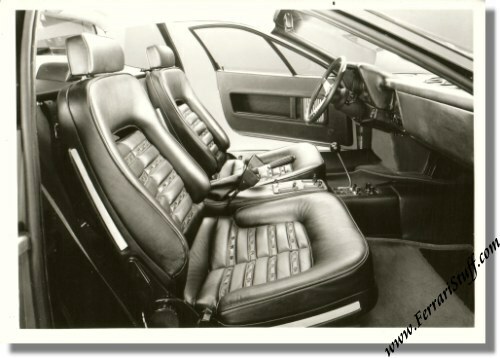 This is a genuine Pininfarina factory press photo of the interior of the BB512, the Berlinetta Boxer. It measures some 7 x 5 inches (18 x 13 cm) and is glossy black & white.